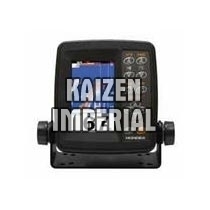 Avail from us an impeccable array of Echo Sounder that is used for measurement of underwater physical and biological components. This compact design makes small professional fish boats as well as pleasure craft affording. Besides, LCD offers clear viewing. One can easily find a fish with the aid of Hardness of bottom indicated by digit and graph. Besides, Echo Sounder is operated by internal batteries. 0-3, 0-5, 0-8, 0-10, 0-15, 0-20, 0-30, 0-40, 0-50, 0-80, 0-100, 0-125, 0-150, 0-200. Display : 4.3"TFT Color LCD.